In my travelling days, I used to keep one note and one coin from every country I visited. I just came across some notes in a photo album and, on a whim, had a look on eBay to see if they are worth anything. 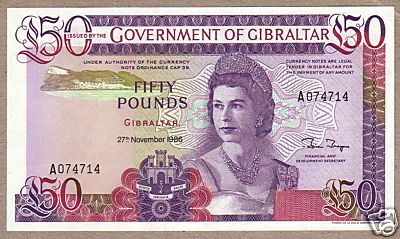 I have a Gibraltar Pound from 1979. This is a £50 so I imagine mine is worth a bit less. This one has a $255 bid. I have this one with the exact same date! 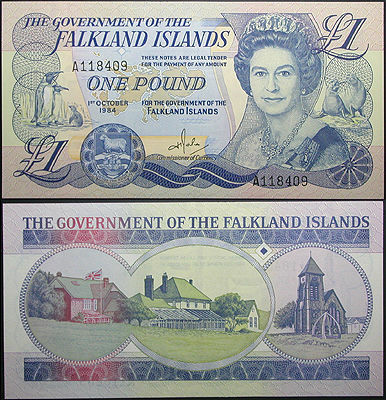 I arrived in the Falklands at the end of October 1984, so it was freshly printed and in perfect condition! 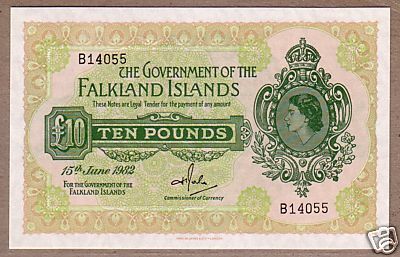 I also have a £1 note from 15th June 1982 (Argentina surrendered on the 14th). Next Next post: Time for President’s Question Time?